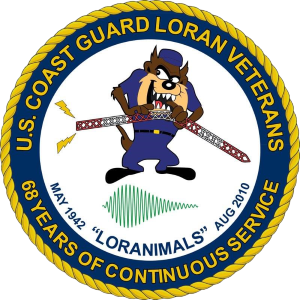 These pages remember the Coast Guardsmen, who served aboard Loran-A, Loran-C stations, and other Loran billets worldwide. These dedicated Coasties are but a few who provided radio navigation signals to millions of navigators. These pages wouldn't exist except through the efforts of MCPO Bill Dietz, USCG(ret). Bill has spent numerous hours for over a decade collecting the information you find here. If you wish to add your information to the database, just fill out the Contact us form. Bill or I will update the list. We are looking for pictures and stories. If you wish to contribute, please Contact Us. FYI - Site Maintenance underway. For the next few months we are conducting an audit of the html pages to ensure compliance with the current standards. There is extraneous html code on some pages and it needs to be brought up to date. I am doing each letter of the alphabet as a group before moving on to the next grouping. If you sent something to Bill that belongs in the portion of the alphabet I'm currently working, it won't appear as timely as others. Please bear with me during this process. I hope to make the site more friendly for the mobile users (tablets and smart phones) as well as faster for the wired users. Will April showers bring May flowers. This reminds me of revamping the LHI web site. A few more stations (Venice and Ketdlek with added material) have been converted over to the new standards. Don't forget the Coast Guard Combat Veterans Convention is this month. Hope to see you there. Last year we started to update the site to html 5 standards and revamping how the information is presented. The basic concept will be a home page for each system with sub pages for each A and C chain, general correspondence by the decade, official operational directives i.e. CG-222, CG-281, etc..., equipment descriptions and manuals, the development projects, planned implementation of system chains, and reference material. To accomplish the above, it will be necessary to repost most of the information using the original scanned copies and do away with the grayscale documents. This itself is a very time consuming but with patience hopefully all is completed by fall. Received this study (pdf) for distribution. 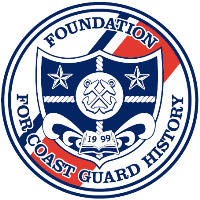 Received notice via an All Coast Guard message that Bill and I had received the Foundation for Coast Guard History's recipients of the Multimedia Award for this site. We are humbled by this recognition and thank the Foundation for the Multimedia Award. Ray is going a great job of hosting this and we support him temendously however the loran-history site and the Facebook group are two independent identities. If you would like to post something on either site the material should be sent to that site. Thanks to Ray Rebmann Fred's Place Reunion Hall will be posted on each station page. Loranimal patches are available. Visit this page to contact Ray. 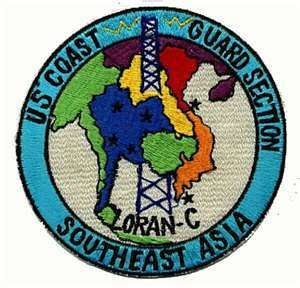 The actual patch is depicted on the contact page as well as the history behind the patch. 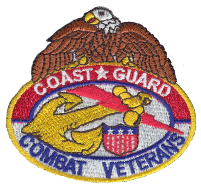 The Coast Guard Combat Veterans will be having their 2019 Convention in North Charleston, SC on 15-18 April 2019. While all COMSEASEC veterans are always invited, they have offered us the opportunity to have a separate day/session for a COMSEASEC reunion. It's been some time since we have gotten together. If you have an interest in joining us at this event, please send an email to COMSEASEC@gmail.com. 13 APR 19 - Cape Christian revamp completed. 05 APR 19 - Updated Cape Christian Fact Sheet and added the 01 JUN 1957 General Information Book. This is a large file 30mb. A personal note: This is fantastic. The First CG District Commander, Rear Admiral Roland, signed the Letter of Promulation. This is normally delegated to the Aids to Navigation Branch Chief. The 1956-57 crew deserves a BZ for their accomplishments. 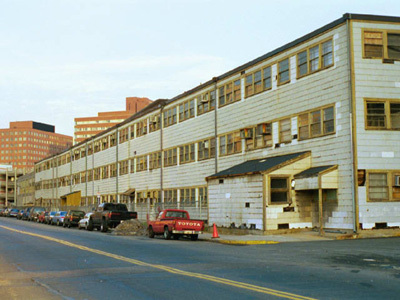 27 MAR 19 - Revamped St. Paul and added Jim Bachtell's photos. 19 MAR 19 - Revamp Saipan and Yap with added material. 09 MAR 19 - Revamped Ulithi with added material. 07 MAR 19 - Revamped Angaur. 13 FEB 19 - Updated Marcus Fact Sheet, added D14 OPORDER 05-93 and 1985 GIB (Believe this is 1986 GIB); COMDT Bulletin Article "Un-tenna"
10 FEB 19 - Commenced upgrading Marcus web page - added station awards; Updated FESEC, Barrigada, Hokkaido, Gesashi, Iwo Jima and Marcus OCT 1992 - JUL 1993 MUC award. 08 FEB 19 - Added Loran-A photo section; photos of a Loran Mobile Unit, CG-222 1953 amend 4 Jun 1956; Updated Wildwood page. Updated Personnel roster. 23 JAN 19 - Sylt - updated Fact sheet to new standard; added fact information and documents; Sattahip photos updated. 09 DEC 18 - Updated personnel roster. 04 DEC 18 - Updated personnel roster. 26 NOV 18 - Updated Havre fact sheet and added numerous documents. 17 NOV 18 - Updated Personnel Roster; Fact Sheets: Angaur; Attu; Baudette; Boise City; Cape San Juan; Caribou; Ejde; Estartit; Fallon; Gillette; Grangeville; Havre; Ichi Banare; Iwo Jima; Johnston; Jupiter; Kodiak; Kwajalein; Las Cruces; Malone; Miyako; Nantucket; Port Clarence; Raymondville; Seachlight; Seneca; Shoal Cove; Tarumpitao; Tok; Wake Island; Yap - Added documents to Loran A GOA Chain. 09 NOV 18 - South Caicos - updated Fact Sheet; added 1965 and 1969 Organization/General Information Book, photos from BMCM Bobby Hill (c./1972) and Chuck Bliley (c./1968) plus other documents. 02 NOV 18 - San Salvador - updated Fact Sheet; added 1965 and 1968 GIBs; photos of WALDO 1 and construction of permanent. 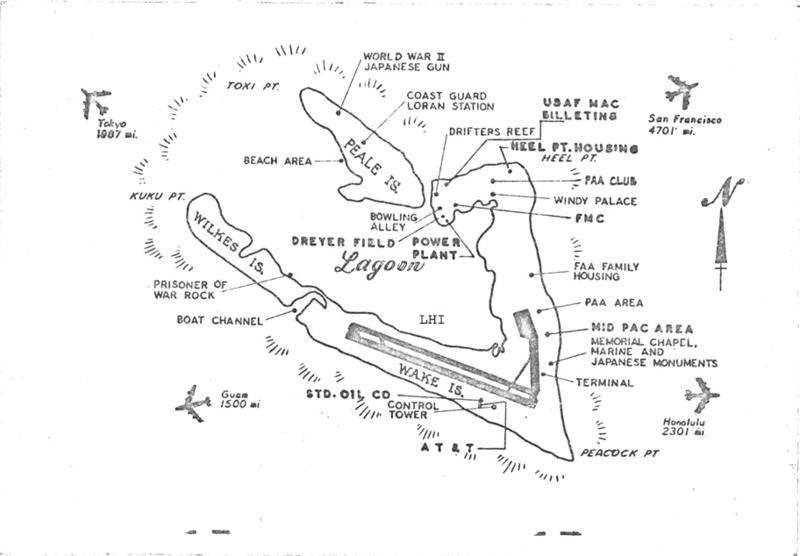 22 SEP 18 - Kwajalein: Updated fact sheet; 1965 and 1975 General Information Books added plus much more. 26 JUL 18 - LORAN A CU-277/URT and T-325B/FPN Tech manuals have been located, scanned and posted. The AN/FPN-30 tech manual soon to be posted. A very special thanks to Dwight Grimes for the loan of the manuals. 15 MAY 18 - Updated personnel roster. 28 APR 18 - added videos to Wildwood and Johnton Island pages. 11 APR 18 - Updated Fact Sheets: Angaur; Cape Atholl; Cape Christain; Folly Island; Hokkaido; Iwo Jima; Kodiak; Marcus; Naulo Point; OShima; Ottisi; Philippine Section; Point Grenville; Port Clarence; Port Isabel; Port-aux-Basques; Saipan; San Salvador; Sitkinak; Skuvanes; South Caicos; Spring Island; Spruce Cape; St. Paul; Talampulan; Tan My; Tarumpitao; Added photos to Attu of CWO John Flewelling; Cape Hatteras 1949 Antenna; Gesashi 1976 aerial view; SEAsia Patch; updated personnel roster.